The 118 by Sebastian Herkner for Thonet is a modern and filigree chair, which is reminiscent of the classic bent wood chairs by Thonet. Thanks to its subtle elegance, it is a real eye-catcher at every dining table. Another source of inspiration for Sebastian Herkner was the "Frankfurt chair", which was developed in the 1930s and used as a universal chair for a long time. 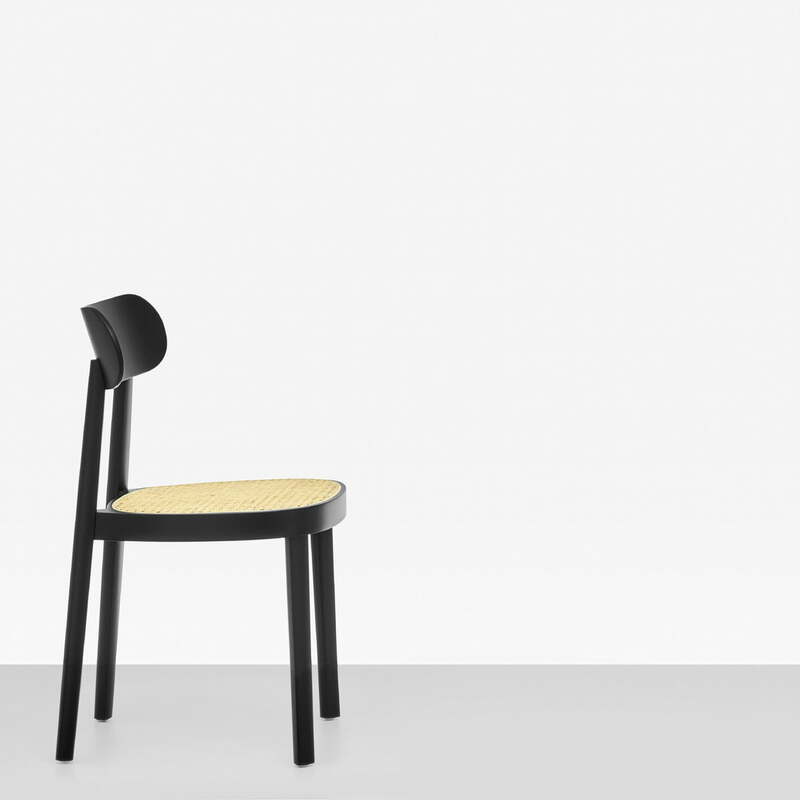 Herkner named his new design for Thonet the "Offenbacher Chair" in honour of his hometown. The timeless 118 chair refers in its shape to the curved seat frame of the 214 bentwood chair. The hand-worked seat is also covered with the iconic Viennese wickerwork. The chair offers new elements with its legs. 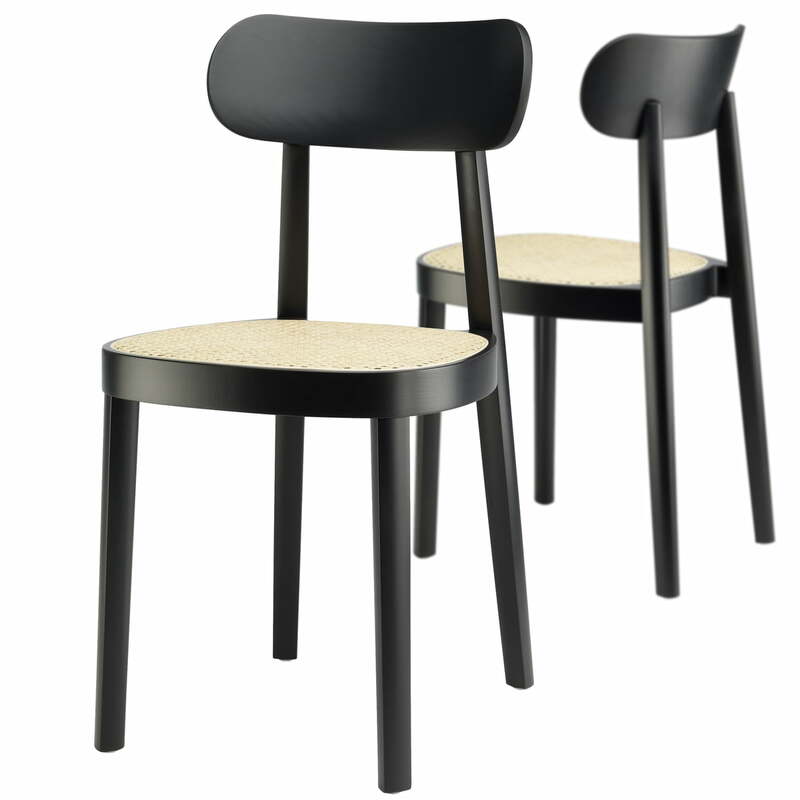 Rounded at the back and slight edges on the front of the legs create a certain break that makes the chair stand out. Refined details softens the overall look of the 118 chair and gives it a certain elegance. As a result it is versatile and can be introduced into a variety of spatial situations, both at home or in public buildings. The 118 is available in natural beech as well as in lacquered or stained finishes. Optionally, the 118 is also offered with a contoured seat. 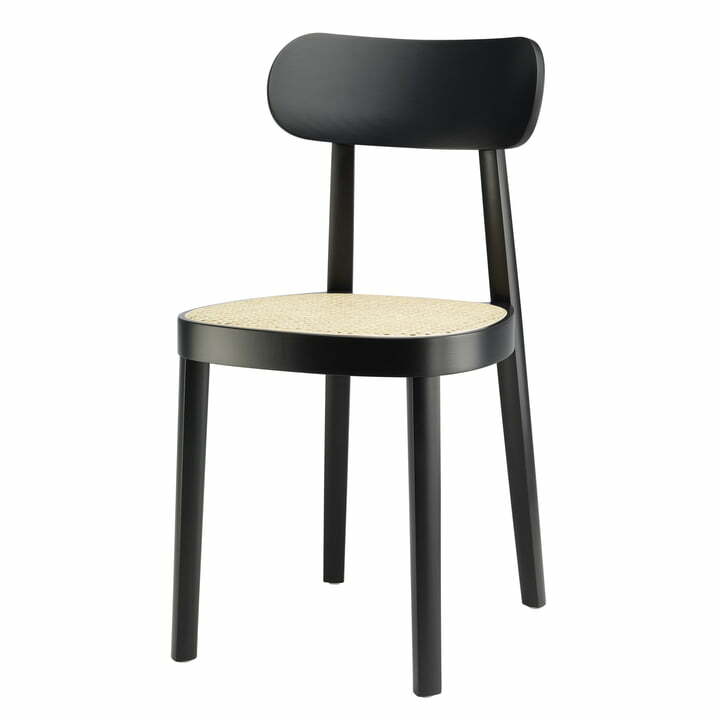 The 118 chair by Sebastian Herkner for Thonet consists of a bentwood frame made of black-stained beech and a seat made of woven cane with plastic support fabric. 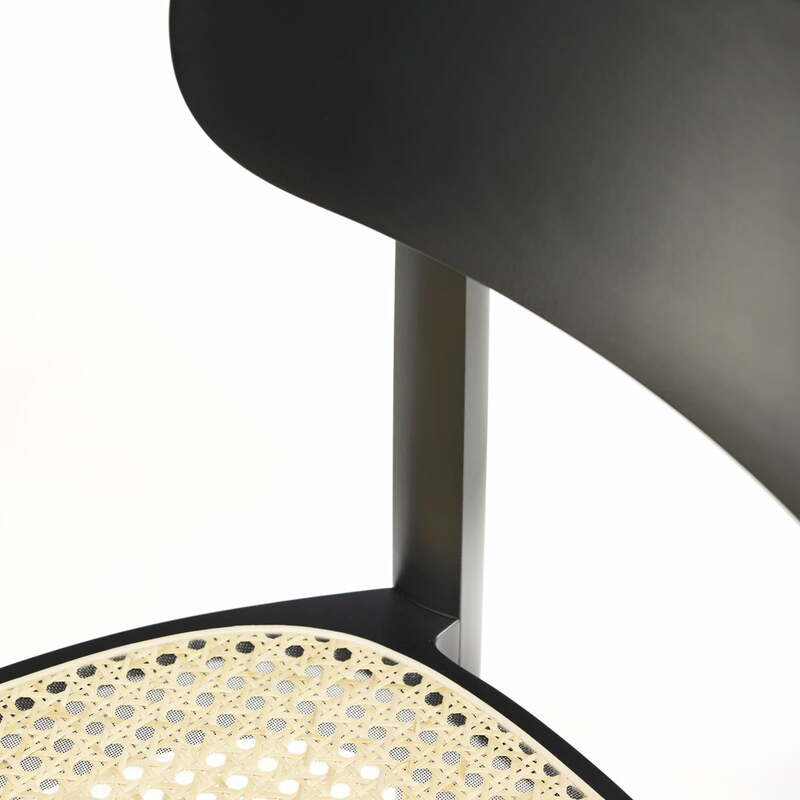 Detailed isolated product image of the 118 chair by Sebastian Herkner for Thonet. The hand-worked seat is also covered with the iconic Viennese wickerwork. 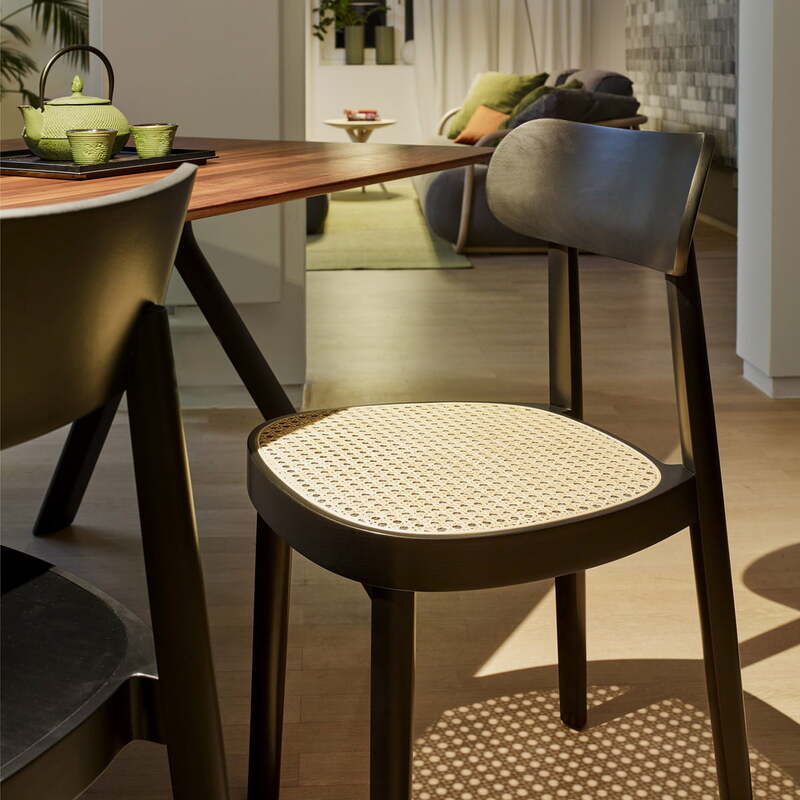 The 118 by Sebastian Herkner for Thonet is a modern and at the same time filigree chair, which is reminiscent in its shape of the classic bent wood chairs by Thonet. The chair also offers new elements with its legs. Rounded at the back and with slight edges on the front of the legs create a certain break that makes the chair a special feature. 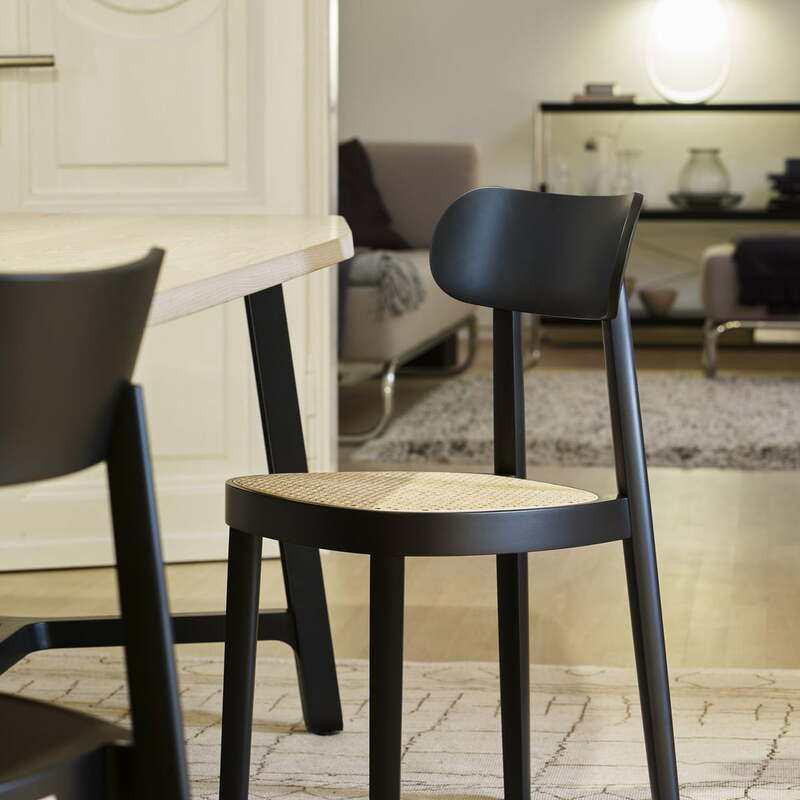 Situation product image of the 118 chair: Sophisticated details make the 118 chair by Sebastian Herkner look less dominant and more elegant compared to the 214 chair. The 118 by Sebastian Herkner for Thonet is a modern and at the same time filigree chair, which is reminiscent in its shape of the classic bent wood chairs by Thonet. Thanks to its subtle elegance, it is a real eye-catcher at every dining table. Another source of inspiration for Sebastian Herkner was the "Frankfurt chair", which was developed in the 1930s and used as a universal chair for a long time. 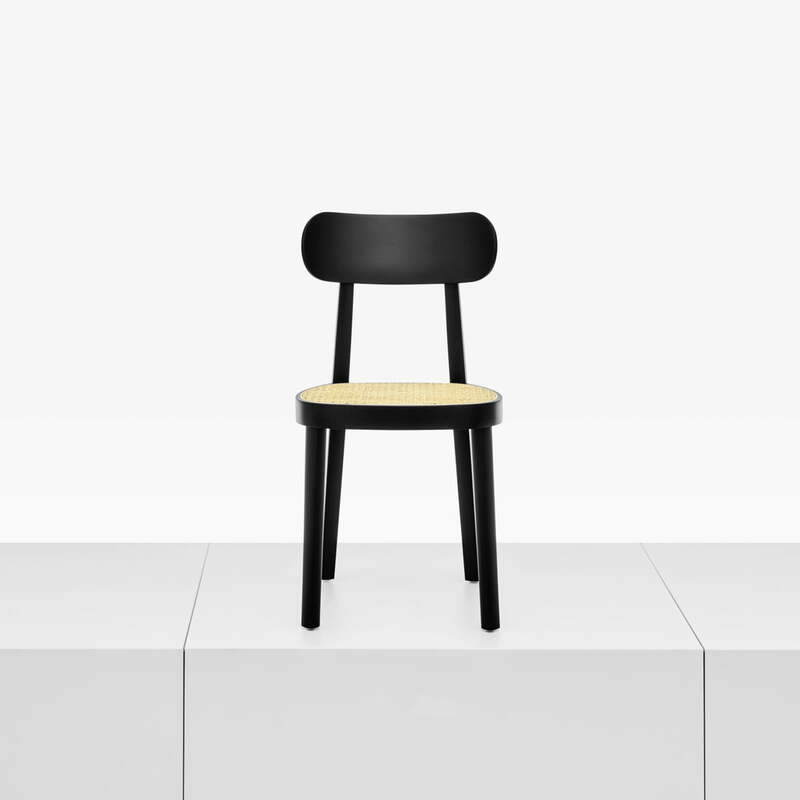 Herkner nammed his new design for Thonet the "Offenbacher Chair" in honour of his hometown.